So Adam over at Roof Beam Reader is hosting year 5 of Austen in August. So this month I'll be feature books I'm either reading or want to feature for Austen in August. 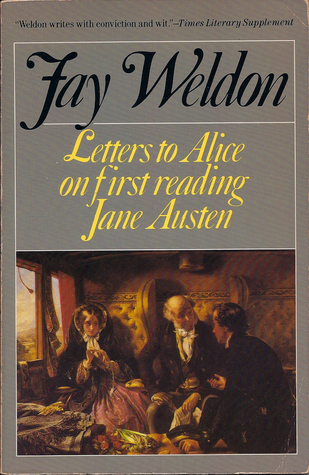 This week the book Letters to Alice on First Reading Jane Austen by Jane Austen caught my eye. It was good to get your letter. I am a long way from home here; almost in exile. And you ask me for advice, which is warming, and makes me believe I must know something; or at any rate more than you. I am perfectly normal, thank you. I'm enjoying the book so far. As a lover of Jane Austen, a lover of literature, and a writer, it is full of joy and wit for me to read.